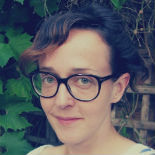 Sarah’s comedy adventure, Buckle and Squash and The Monstrous Moat Dragon, was published by Macmillan in July 2014 and won the first Sainsbury’s Children’s Book Award for 5-9 year olds. The sequel, Buckle and Squash in the Land of the Giants, followed in 2015. Sarah lives in North London, with her husband Jonathan Weil.